Welcome to Straight Back Chiropractic! Located in the heart of Santa Maria, the leading health professionals at Straight Back Chiropractic are dedicated to helping you achieve your wellness objectives -- combining skill and expertise that spans the entire chiropractic wellness spectrum. 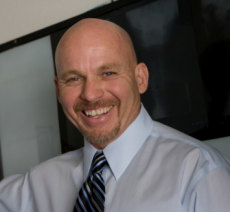 Dr. David Lohman is committed to bringing you better health and a better way of life by teaching and practicing the true principles of chiropractic wellness care. Patients in the Santa Maria, CA area seeking chiropractic treatment at Straight Back Chiropractic with Dr. Dave are assured of receiving only the finest quality care through the use of modern chiropractic equipment and technology. As a Santa Maria local, Dr. Dave and the staff have a genuine concern for your well-being and the well being of our community! If you are new to our website, please feel free to discover and learn about chiropractic wellness. If you are interested in starting your journey towards wellness, please subscribe to our award winning newsletter. If you are already a newsletter subscriber, please explore the member wellness section of our website for wellness articles, resources, and health facts---specifically targeted by Dr. Dave to your wellness needs and interests. We are pleased to offer local, friendly, credit union financing through Lifestyle Lending Solutions. For decades, Credit Unions have been serving the local community with superior customer service and low interest rate financing. It only takes a few minutes to apply and get approved. Everyone, Everywhere can apply. So what are you waiting for? Apply Now for local friendly Credit Union financing, its fast and easy! Determine your estimated payment with our easy to use payment calculator. "I had pulled my sciatic nerve and I was in extreme pain and after a week straight of adjustments and with a combination of laser treatment I felt like I was never in pain a week earlier. Thanks Dr. Lohman." "My young son has had difficulties due to asthma. Dr. Lohman has adjusted him and treated him with the Vibra massage and that has helped tremendously. Thanks to Dr. Lohman." "As a patient of Dr. Lohman's for 20 years, I have nothing but good things to say. Thank you for everything Dr. Lohman."